Sara Sterner was born and raised in Idaho and has always been a passionate enthusiast of children's literature. After completing her degree in elementary education from the University of Idaho, Sara began teaching 6th grade in Boise Idaho. After seven years in that role, Sara moved to Virginia to pursue her master's degree in English as a Second Language at Marymount University. After graduating, Sara returned to the elementary classroom for seven more years, teaching English as a Second Language, 4th grade, and Gifted Education. Children's literature has always been central to her life as an upper elementary teacher, serving as a both a pedagogical tool and a means to make connections with her students. Feeling the call to further her education and more explicitly pursue her passion for children's literature, Sara began her doctoral studies in Literacy Education with an emphasis in Children's and Adolescent Literature at the University of Minnesota in the fall of 2014. Through her doctoral studies, her experiences with readers in the classroom, and her long-standing love of children's literature, Sara began to explore the ways in which teachers engage with children's literature. As a post-intentional phenomenologist and teacher educator, who cares deeply about promoting equitable and inclusive children's literature, for her dissertation research Sara studies how dominant reading experiences have shaped preservice teachers, a phenomenon she calls Reading Whitely. Sara is a proud Ravenclaw who currently lives in Minneapolis, MN with her husband Shawn and their Siamese cat, Archie. She will defend her doctoral dissertation and graduate in May 2019. 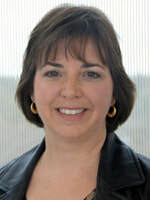 Dr. Kelly Wissman is an Associate Professor in the Department of Literacy Teaching and Learning at the University at Albany. Across her scholarship and teaching, she considers how children’s literature, writing, and the arts can facilitate the creation of more equitable and humanizing educational spaces for all students. Her research and teaching interests include children’s literature; sociocultural approaches to writing; practitioner inquiry; the interplay of literacies, identities, and equity; and multimodal composing. She pursues these interests through collaborative, arts-based, and ethnographic research methodologies. Dr. Wissman is the Director of the Capital District Writing Project, a site of the National Writing Project. The Capital District Writing Project is a vibrant community of P-16 educators working to improve writing and learning in the Capital Region’s schools. She also serves as a co-editor of Language Arts and is a member of the Editorial Review Board of the Journal of Children’s Literature. Her publications have appeared in several journals, including, Anthropology and Education, Research in the Teaching of English, Children’s Literature in Education, Journal of Children’s Literature, and the Journal of Adolescent and Adult Literacy. Dr. Wissman has received recognition for both her scholarship and her teaching. In 2006, she was awarded the Selma Greenberg Dissertation Award from the Research on Women and Education Special Interest Group of the American Educational Research Association. She has been named an “Educator of Excellence” from the New York State English Council. In 2016, she received a President’s Award for Excellence in Teaching from the University at Albany. In 2017, she was honored with a Chancellor’s Award for Excellence in Teaching from the State University of New York. Stephen Adam Crawley is a doctoral candidate in the Department of Language and Literacy Education at the University of Georgia. His CLA-funded research project will explore elementary parents' perspectives on various gay and lesbian-inclusive picturebooks, the parents' thoughts about the books' (potential) use in PreK through Fifth Grade classrooms, and if/how the parents position themselves as allies across individual and group contexts. The 2015 CLA Research Award winner is Prisca Martens. 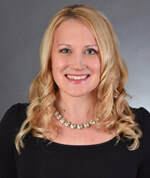 Prisca Martens is a professor in the Department of Elementary Education at Towson University, Towson, Maryland, where she teaches courses in reading and children’s literature. Her CLA-funded research study will investigate young children’s multimodal story-making experiences and how this relates to their perceptions of literacy and their literacy development. 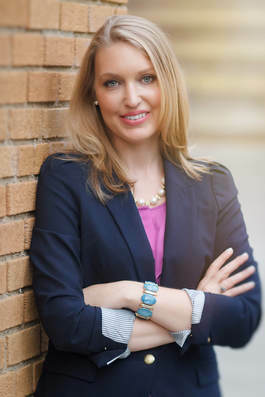 Erin Greeter is a doctoral candidate in Curriculum and Instruction with a specialization in Language and Literacy Studies at The University of Texas at Austin. Her CLA-funded research project will focus on exploring bilingual students’ use of multiple semiotic resources to construct meaning from text during story-based process drama. 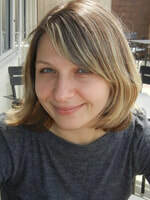 Oksana Lushchevska is a doctoral candidate at the University of Georgia in the department of Language and Literacy Education, studying children’s literature, and is an author and translator of children’s books written in Ukrainian. Her CLA-funded research project will explore in-service teachers’ interactions and responses with international children’s picturebooks. The 2014 CLA Research Award winner is Evelyn Arizpe. Dr. Arizpe is a Senior Lecturer at the School of Education, University of Glasgow, where she coordinates the MEd Programme in Children’s Literature and Literacies. She has a BA in Latin American Literature from the Universidad Iberoamericana, Mexico City, and a PhD in Education from the University of Cambridge. She has taught and published widely in the areas of literacy and children’s literature. Dr. Arizpe’s study will investigate the changes in reading practices and reading responses among adolescents in Mexico in the last 25 years. Specifically, her research will compare findings from a previous study conducted 20 years ago on using young adult literature with secondary school students to the new quantitative and qualitative data she will be gathering in order to consider two questions: (1) What has changed in perceptions of reading and books in the last 20-25 years in Mexico? (2) In what ways do young adult reader’s responses to contemporary texts reflect changes in the reading and publishing context for young adults? 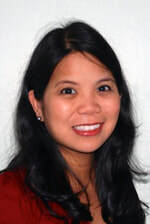 Dr. Grace Enriquez is Assistant Professor of Language and Literacy at Lesley University. A former English Language Arts teacher and literacy staff developer, she bridges her work with students and teachers with ethnographic and critical research in high-needs urban populations to examine their responses to literacy instruction and children’s and young adult literature in school contexts. Specifically, her scholarship focuses on critical literacies; intersections of literacies, identities, and embodiment; and children’s and young adult literature for social justice.Dr. Enriquez's longitudinal case study, "Centering Children's Literature in Social Justice Teaching and the Common Core," will enable her study how teachers' understandings of children's literature for social justice education develop over time and space from a graduate course to classroom teaching, and help her see how teachers negotiate their use of children's literature and social justice in light of the CCSS. Enriquez, G. (2014, November). Teachers’ comprehension, identity, and critical literacy: A shifting relationship from coursework to classroom teaching. Paper presented at the Annual Convention of the National Council of Teachers of English, Washington, DC. 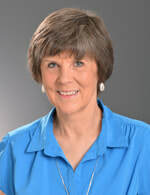 Dr. Jane Kelley is an associate professor in the Department of Teaching and Learning at Washington State University. The nature of Jane E. Kelley’s research and scholarly activities is grounded in critical multicultural analysis and involves the examination of ideology of power in children’s literature and the dissemination of this theory and pedagogy. Kelley’s research is two-fold. First, she applies a critical multicultural analysis to children’s literature in order to bring the ideology of power as it is portrayed in children’s literature. Second, she investigates pedagogical strategies to introduce a critical multicultural analysis to pre-service teachers, service teachers, and graduate students. 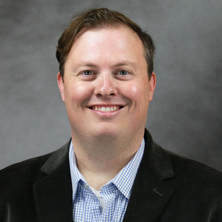 Dr. Kelley’s study will examine which current fictional narratives that portray individuals with Autism Spectrum Disorders are authentic and engaging, and have the potential to help educators understand the complexities of ASDs. Kelley, J. E., Cardon, T. A., & Nichols, D. A. (2014). Children's literature as a bridge of understanding for classmates with and without autism. The Utah Journal of Literacy, 17(1), 38-43. Cardon, T., Kelley, J.E, & Algeo-Nichols, D. (2014). DSM-5 Autism Symptomology in Narrative Fiction. American Speech Language & Hearing Association, Orlando, FL. Kelley, J.E., Cardon, T.A., Nichols, Dana A. (2014). Autism spectrum disorder narrative fiction: Representations, ideology, and perspectives. National Council of Teachers of English (NCTE) Northwest, Regional Conference, Portland, OR. Kelley, J. E., Cardon, T. A., & Nichols, D. A. (2014). Analysis of autism spectrum disorder symptoms portrayed in fictional narratives. WSU Showcase, Pullman, WA. Lori Ann Laster is currently a doctoral student in Critical Literacy and English Education at the University of Minnesota. Her background includes extensive work as an arts writer, playwright, educator and theater practitioner. Laster’s exploratory qualitative case study seeks to acquire a deeper understanding of the obstacles of text selection for refugee youth, with a focus on fantastic literature young adult novels and how they meet the interests and needs of Hmong youth.